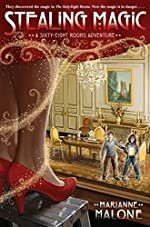 The Sixty-Eight Rooms Adventures: A First Clues Mystery Series for Kids. 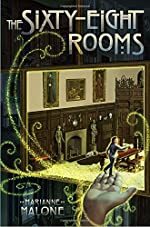 About the series: Housed deep within the Art Institute of Chicago are the Thorne Rooms, a collection of sixty-eight exquisite — almost eerily realistic miniature rooms. Each of the rooms is designed in the style of a different time and place, and every detail is perfect, from the knobs on the doors to the candles in the candlesticks. Some might even say the rooms are … magical. 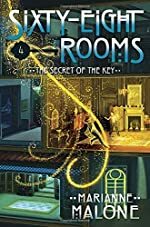 Imagine … what if, on a field trip, you discovered a key that allowed you to shrink so that you were small enough to sneak inside and explore the rooms' secrets? What if you discovered that others had done so before you? And that someone had left something important behind? 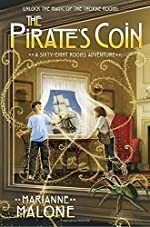 Ruthie Stewart and Jack Tucker are best friends in sixth grade … and they are about to discover the adventures of a lifetime!